Moving science forward took on new meaning when Buffy Gorrilla volunteered for a medical trial. It’s a Monday morning and I am seated at a table with five other people and just one familiar face. We all have a piece of paper in front of us. On mine is written “P01”. I have also been fasting – no food or water – since 10 o’clock the previous night. I am thirsty and desperate for a coffee. As well as my P01 classification, my other designation is “high-fibre female”. The high-fibre describes the special diet that I have been assigned for the past 24 hours; portion-controlled and a touch bland, and delivered to me at home in a striped cool bag. I am doing science. Specifically, I am part of a study that is testing a new invention that, if successful, would one day give doctors the first non-invasive way of measuring instantly what’s happening in a person’s stomach. 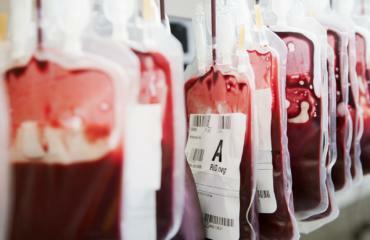 P01 to P06 are the first six participants in this initial human trial. In a few moments, we will ingest a technology-laced gas sensor the size of a fish oil capsule, or a good sized vitamin, that will be with us for at least the next 24 hours. The man behind the study is Kourosh Kalantar-zadeh, who is the director of the Centre for Advanced Electronics and Sensors (CADES) at RMIT University. He appears excited and nervous. Six years of his life will soon be in the stomachs of six strangers. 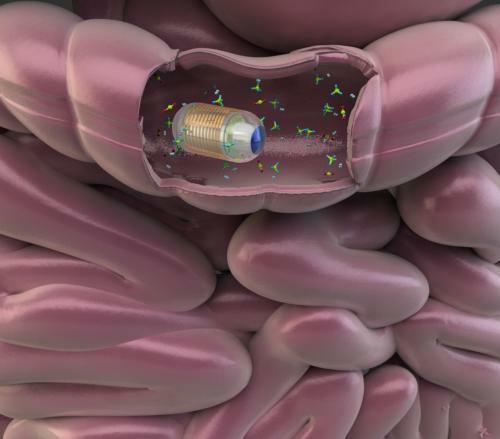 But the benefits could be life-changing: if the capsule works, it would not only reduce the need for invasive colonoscopies and endoscopies but would give medical professionals a new diagnostic tool for diseases from colon cancer to irritable bowel syndrome, and could also improve our understanding of the stomach-brain connection and its relationship to our general wellbeing. Dr Kalantar-zadeh gives the trial participants a pep talk. His team passes around white mugs of water. Our capsules are served up on salad plates, sans salad. We swallow. Gulp! Down goes the science. Moving a healthcare invention from idea to impact takes plenty of grunt, innovation and the dogged determination of a sloth crossing a road – slow and steady. To improve healthcare, each innovation needs to be tested, proven and its effects quantified, all of which takes money. Yet government spending on science research is decreasing. 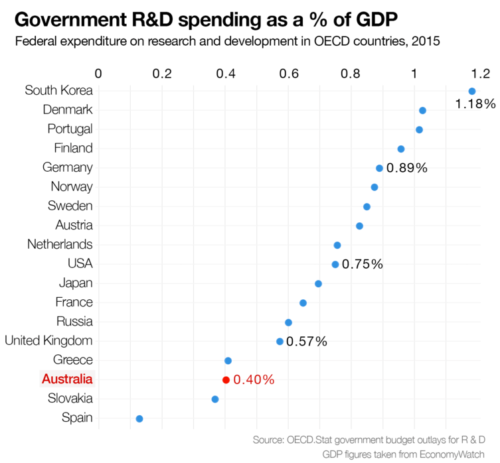 In 2015, spending on research and development measured just 0.4 per cent of GDP, with spending on science over the last three years falling to its lowest point in Australian history. The scarcity of taxpayer funds makes the gas sensor capsule project even more impressive, because RMIT’s CADES team were able to secure government support. There is currently no private money invested in the project, but finding the right financial backer will be necessary for the great leap from lab to hospital. “Altogether, in the past six years, we are talking about $2.5 million. From the beginning until now everything came from the government of Australia or, in some cases, from university partners,” says Dr Kalantar-zadeh. For Dr Kalantar-zadeh and his team, comprising four post-doctoral researchers, there have been advances and setbacks that typify the enterprise of discovery. But now, being able to read the stomach temperatures of the trial participants on a Samsung smartphone, must surely rank as a significant milestone in the gastric project, whose origins are rooted, oddly enough, in the Federal Government’s methane mitigation program, which was part of Australia’s action on climate change. In 2012, the government considered taxing farmers based on how much gas was being released by their animals, but no one was certain how to measure this. Dr Kalantar-zadeh stepped in to help provide data to better tackle this very specific aspect of a global issue. The capsule I have just swallowed is similar (thankfully, a little smaller) to one ingested not too long ago by a pig, because pigs and humans have “very similar digestive systems,” laughs Dr Kalantar-zadeh. This capsule that is moving through my oesophagus is made of safe-to-consume plastic. 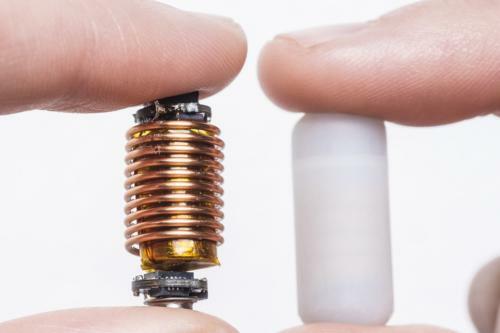 At one end of the pill-shaped sensor is a membrane that allows stomach gases inside, but which prevents our stomach acid from entering the capsule. The sensor measures the levels of four different stomach gases. It encodes this data, converting it into a signal that is transmitted to a receiver outside the body – the smartphone. I am carrying the phone and a simpler backup receiver in a navy blue Adidas bum bag, from which several antennae protrude, which is a bit embarrassing but an excellent conversation starter. At this stage, the tech is far from perfect. First, I lose my sensor’s signal, before picking up someone else’s. 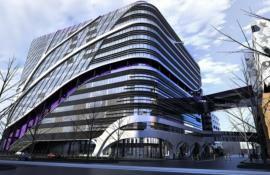 For a moment P03’s internal body temperature registers from the next hotel room, bringing a whole new level of intimacy. We have been instructed by the trial organisers not to raise our body temperatures, so conjugal visits are out of the question; all in the name of science. The capsule follows the normal digestive course, in and out the standard ways. To check whether me and my digestive track were suitable for this study, I had been required to swallow a test sensor, used simply to ‘time’ my digestive system, but not be retrieved. If the capsule had taken more than 48 hours to make the trip through my body, I would have been considered ‘unusual’ and may have been ejected from the study. For the real thing, however, we all have the unenviable task of manually retrieving (with gloves!) the sensor from our stool, each unit costing a few hundred dollars. It must then be returned in the striped cool bag and analysed to see what, if any, impact my high-fibre diet has had on my system. Through the six years of development, Dr Kalantar-zadeh and his team have been aided by other technological advancements. Something as basic as battery size has made an enormous difference. In 2012, the batteries available made the gas sensor capsule too large for a person to swallow. Four years on, power sources have been miniaturised to as little as 7.9mm in diameter, making the capsule manageable. Kyle Berean, a research fellow on the RMIT team, developed the special membrane for the capsule, which allows gas in but keeps stomach acid out. That breakthrough came after testing six different membranes first. “We started with membranes that would only allow methane to pass through, or only hydrogen to pass through, but we are sensing four gases with our sensors – carbon dioxide, methane, hydrogen and oxygen,” he explains. Dr Berean is also the point-person on the capsule’s initial human trial phase, having developed the necessary protocols. He is also handling the logistics of the 48 hours that the six trial participants are sequestered in a downtown hotel and monitored intensely, having the day before hand-delivered my portion-controlled, high-fibre food. The scientific quest demands a financial timetable, too. With the team moving through what is known as a Phase 1 clinical trial — where the device is tested on a small group of people to prove its safety – they have now put out a call for investors. The inventors and RMIT are creating a company to commercialise the gut-sensor invention but getting the device to market is an extremely expensive proposition, Dr Berean says. Getting the device approved by Australia’s Therapeutic Goods Administration, which has authorised the Phase I trials, would be an achievement but getting the device approved in the US, by the Food and Drug Administration, is the ultimate aim. The small band of human participants who have just swallowed the gas sensor capsule are considered the project’s “library”. We are the test group that will be used to show investors the potential of this gastrointestinal marvel. The eventual clinical trials, however, will need data drawn from much larger clinical trials involving several thousand participants. For now, precise data is being collected on the capsules’ accuracy and performance as they transit through the six human guinea pigs. We are assured surgeons are on call should the capsule not be expelled within a few weeks. Dr Kalantar-zadeh says it is difficult to speculate when the capsule might receive full TGA approval. 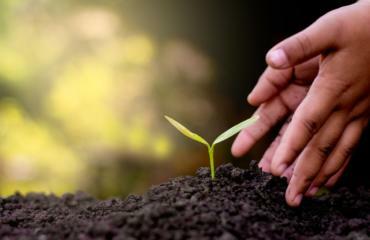 The project team’s journey from idea to impact still has a long way to go and it will take many years and millions more dollars, with no guarantee of success. 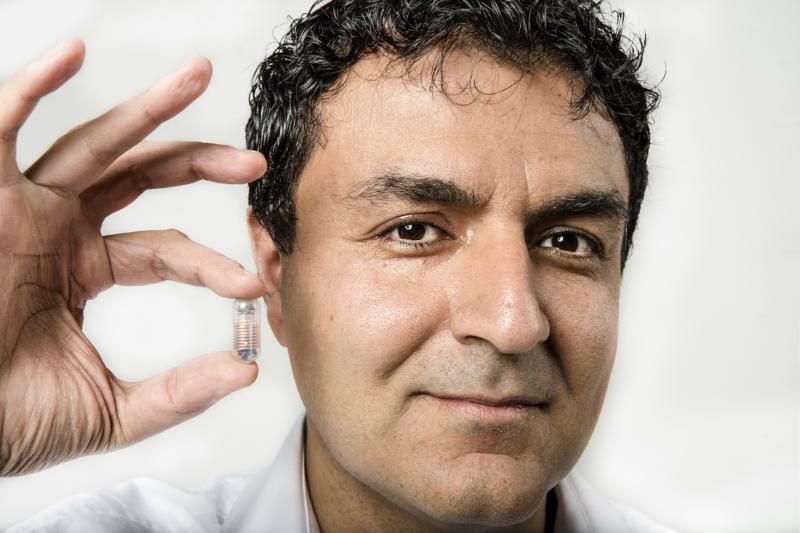 Regardless of that ultimate destination, through the eight or nine versions of the gas sensor capsule developed over the years, Dr Kalantar-zadeh and his team have doubtless advanced the cause of science. “We have three patents on the sensors and the membranes,” he says proudly. Dr Berean, too, has an altruistic take on what the team’s endeavour is all about. 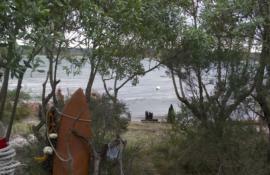 ► This story was also published in The Sunday Age.